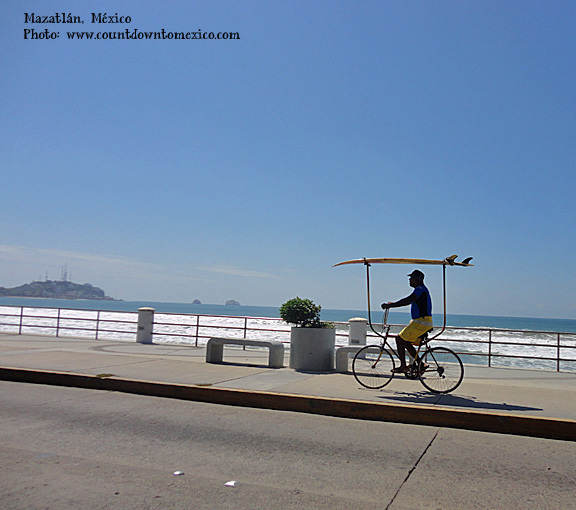 I love México… but I especially love Mazatlán. Over the years we have had hundreds of special and memorable nights. Free performances of every kind. Moderately priced opera and symphony tickets in a renovated theater. Nights where the air is warm, the people stroll the plazas, and the music has a beat that makes everyone tap their foot or get up and dance. Last Friday was another one of those nights, I hope you’ll enjoy it, too. 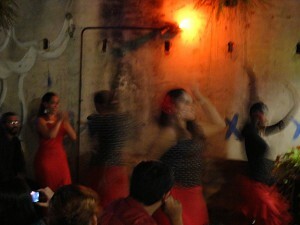 Here’s my blog post Flamenco in Mazatlán. There may be more posts to come after Part 3, but even the three posts above will give you a great feeling for enjoying México with your family. The author has advised me that there WILL be a couple more posts, and that all of them will be grouped together here. Headlines of the drug war project a narrow view of life in México. Reframing Mexico shifts the focus and takes aim at stories that reveal the complexities of life in one of the world’s most dynamic cities. A multimedia team from UNC-Chapel Hill collaborated with students from Monterrey Tec University to create an online documentary project that explores the untold stories of a country known for its dangerous reputation. Take a new perspective on a fascinating culture. Here’s an excellent article from the Seattle Times travel writer Carol Pucci: Is Mexico Safe? Posted in Quick TakesComments Off on Is Mexico Safe? I just ran across this post on AOL Travel by Anne Johnson. It is a must read for anyone planning to travel to Mexico or to calm fears of friends who think you shouldn’t visit! … just ask the New York Times! Travel writer Brooke Barnes wrote a piece for the January 24, 2010 issue that is titled 36 Hours in Mexico City. The article touches on some of my favorite places in the Big Manzana. Article is here. Mexico’s ultimate hurdle is not room rates, flu or even drug violence, but perception. You’re three times as likely to contract H1N1 flu in the United States as in Mexico. And the drug war’s front lines still occupy just five of the country’s 2,400 counties; most Americans caught in the fray were in the border towns of Tijuana, Ciudad Juárez and Nuevo Laredo. Read more here. As the only diners on the roof top terrace of the small hill-top restaurant in Mexico, my family almost had the place to ourselves. The sole exception was the Mexican couple who owned the place and lived there. But after the woman’s second or third trip up the steep stairway from the kitchen to attend to us, I began to feel like she was a Mexican aunt I never knew about. After we finished our meal and listened to our son and daughter’s banter, the woman gave us a tour of her kitchen and showed us some black and white pictures of what the town looked like in the 1960s. Posted in JaliscoComments Off on There are No Secrets Here! Andrés Martinez, a senior fellow at the New America Foundation, wrote an opinion piece titled Be Neighborly, Go to Mexico for the Los Angeles Times today. The New York Times video entitled War Without Borders – Fueling Mexico’s Drug Trade is an eye opener for anyone looking for a balanced take on what fuels the drug trade, where the guns used in Mexico come from, and what is being done and needs to be done on both sides of the border. A Mexican official says in the video that the person in the US who is a casual marijuana user doesn’t even think for a moment that their use is helping maintain the Mexican cartels. But it is. Watch this 9 minute video, it will explain a lot. Journalist Linda Ellerbee wrote about her love of México in Puerto Vallarta’s Banderas News. Read the entire article here. Ana Maria Salazar, host of “Imagen News”, the only nation-wide radio news program in English broadcasted from Mexico, interviewed US Secretary of State Hillary Clinton during her recent visit to México about the issues currently facing both Mexico and the US here. Since I have traveled in Mexico for many years – and now live in Mexico – I thought that instead of discussing all the negative press Mexico has been getting lately, I would tell you why I love it here. The Spirit of the People – This is usually the first thing that people notice about Mexico. There is an almost indescribable sparkle that you notice around the eyes. Smiles come easily. Kisses at greeting. Kisses when parting. You seldom hear a child cry and never hear a parent speak in anger to a child. Family is everything, and every evening, generations walk arm in arm in the plazas. People don’t get upset easily. Loud party? (So what, they are having fun tonight.) Litter on the sidewalk? (Sweep it up and enjoy a little chat with the people who pass by.) Barking dog? (Put on some music.) I love the phrase “ni modo” which means “oh well, what can you do?” and is the perfect answer to minor aggravations in life. Ni modo. Generosity – There are many organizations in Mexico to help those who are less fortunate. But when I comment on generosity I mean all the small generosities I see daily. People know how to give with a grace that I can only hope to learn. One time in Mexico City, we went out to buy soup to take home. While we waited, a little street boy who was familiar to everyone in the neighborhood ran up with a coin and asked for a taco. The owner sent him to the cashier (his wife) to pay, and prepared a generous taco for the boy to take away. As he started to leave, the cashier pressed a handful of money in the boy’s hand as “change.” He ran off. A few minutes later his sister arrived, and the same interaction ensued. It was obvious that the couple happily made sure these kids had a little good food every day and were happy to give it. They would be surprised that I even think their actions were noteworthy. It’s just what they do, and how they relate to the world around them. Ability to Make Do – I have a soft spot for people who can figure out a work-around when they need something. Not very much goes to waste here. And if you are done with something, just put it out on the curb and it will find a new home. What is Fun? – You don’t need a money to have fun in Mexico. Of course, there’s the ocean, the best playground of all. Sunday is family day, and the beach is full of large family groups – from Grandma to the smallest baby. They may bring their own food, or buy mangoes and donuts from vendors walking by. But even in places away from the beach, people head to the plazas and parks to relax and talk and usually share a meal together. Balloon vendors stroll. Outdoor dances are common. People love to buy a song or two from the strolling musical groups. Mexico is a social country, when they have free time they usually head outside to get together with friends. Even late at night the streets are busy with people laughing and having fun. And I guess I shouldn’t forget that parades and fireworks can surprise you anytime, day or night. Acceptance and Friendliness – We have a regular route when walking our dogs in the morning, and we greet and are greeted by many people every day. I thought for a while that they only greeted me because I said hello to them first – but you know – that’s not true. We are part of the fabric of the city and we are accepted – tattoos and imperfect Spanish and all. Hard Working – The old stereotype of the sleepy Mexican under a sombrero couldn’t be further from the truth. Most people work very hard, and long hours, too. Five long days and a half day on Saturday. And wages are so low that once they are done working they have to work hard to do everything else. Many people have the simplest homes, with just the basics and wash clothes and dishes by hand. They either bicycle to and from work or have long bus rides. You’ll notice, though, that all school kids have gleaming white shirts and polished shoes. I have no idea how they do it all. Efficient and Accommodating – We live in Mexico as retirees on an FM-3 visa. This visa is renewable for a year. We visit Immigration once a year with a bank statement showing we have adequate income (so that we are not a drain on their economy) and payment of a small fee in exchange for a new one year visa. When doing this I wonder what the same transaction would be like for a Mexican in the US, unfortunately I think I know the answer. Many of you also may not know that Mexico also has a national health insurance program. And guess what? They also make it available to foreigners. We are in the process of applying for the insurance and our experience has been efficient and way easier than a trip to the DMV in the US. Wouldn’t it be nice if the US had national health insurance available to all? Living in Mexico has changed me for the better, too. I am more tolerant, smile more, am more relaxed and generous, and I actually like myself better. These are just a few of the things I can put into words about why I love it here. You really should come and see for yourself. There’s been a lot of talk about safety among the expat community in Mexico lately. It seems like the press and the US government are going out of their way to discourage people from vacationing in Mexico. Those of us who live here – who love it here, wonder why. I’m not going to try to figure out what their agenda might be. Some people speculate that it has to do with keeping American vacation dollars at home to help the economy. Maybe it’s just more of the nanny style of government. I really don’t know. But I do know it is taking a toll on Mazatlan and other communities that rely on tourism for a fair bit of their economy. I’ll talk about that in a minute. For now, let’s go back to the topic of safety. We all want to be safe. What is that, exactly, though? Does that mean that there is a zero percent chance of something unexpected happening? I doubt that anyone expects that! I mean the world is full of random events – you come around a corner a little too fast and a truck is stopped in your lane…you hit it…someone is hurt…and everyone involved feels shaken and unsafe. But that doesn’t mean you never drive again, does it? And random events don’t just happen in Mexico, you know! I have been getting numerous letters every week from people who aren’t sure if they should come on their long-planned vacations to Mazatlan. It’s good that they are looking for more information and need to decide for themselves whether they’ll feel safe or not. I tell people that write me that I feel safe, and that I love it here, and if they want a fuller explanation as to why they should read my blog. We all know there is a war in Mexico between drug cartels and each other and drug cartels and the government. High ranking police officials have been killed. There have been graphic pictures in the media of bodies lined up where they were executed. This is horrifying, no doubt. But aside from the slim chance that someone would be in the wrong place at the wrong time, it feels far removed from everyday life. But one thing that isn’t far removed is the effect that the loss of tourist dollars especially hurts the poor here in Mexico. Many people here are already living a very marginal existence, and losing a job or having hours reduced is an impossible situation. And here in Mazatlan we had already been feeling the effect of the financial crisis reducing the velocity of construction and hence construction related jobs. I love it here. I love traveling all over Mexico. I take common sense precautions and keep my eyes open. But…you know, I do that where ever I am, and I imagine you do, too. Mexico is a delightful country filled with warm hearted, generous people who would like nothing better than to share with you the Mexico they know and love. I hope you choose to see for yourself.